As a general rule, 99.9% of the time, when Mom decides something, it goes. It might be rules about bedtime, homework, or what ends up in the grocery cart. Since One Degree Organic Foods is a family-owned and family-run company, we put a lot of care into creating foods that parents and kids will all love, and in our home, Organic Sprouted Cacao O’s are a favorite. To test whether or not other families love them as much as we do, we gave some cereal to a big sample group at Moms Meet, an online community that helps Moms connect and influence brands to create healthy products, to enjoy at home. The results are in. We make our organic chocolatey Cacao O’s with a small batch of ingredients: sprouted oats for improved nutrition, cane sugar, cacao and cacao extract, unrefined salt, garbanzos, vanilla, tapioca starch, sunflower oil, tocopherols (vitamin E), and sunflower lecithin. “We love this company! We love that they are glyphosate-free verified and organic!! They are setting the standard very high for healthy foods, and we love that!!! The Sprouted Cacao O’s are absolutely delicious! We have tried other chocolate flavored healthy cereals and we have never bought them again, they were pretty bad. But my son ate this one as dry cereal straight out of the box and with almond milk!! And that’s saying something because if he doesn’t like it, he will definitely not eat it. We thank you so much for letting us sample your amazing product and giving us the opportunity to learn about your company. We appreciate your hard work and effort to make the whole production process transparent!! It means a lot to us as parents because we know the dangers of GMOs and the incredible dangers of glyphosate, so, THANK YOU!!! Organic all the way!!! Loved sprouted cereal from One Degree… wish they had more flavors!! My entire family enjoyed this healthy breakfast!! Great as snack too…love that its non-GMO organic and has less sugar than normal ones! 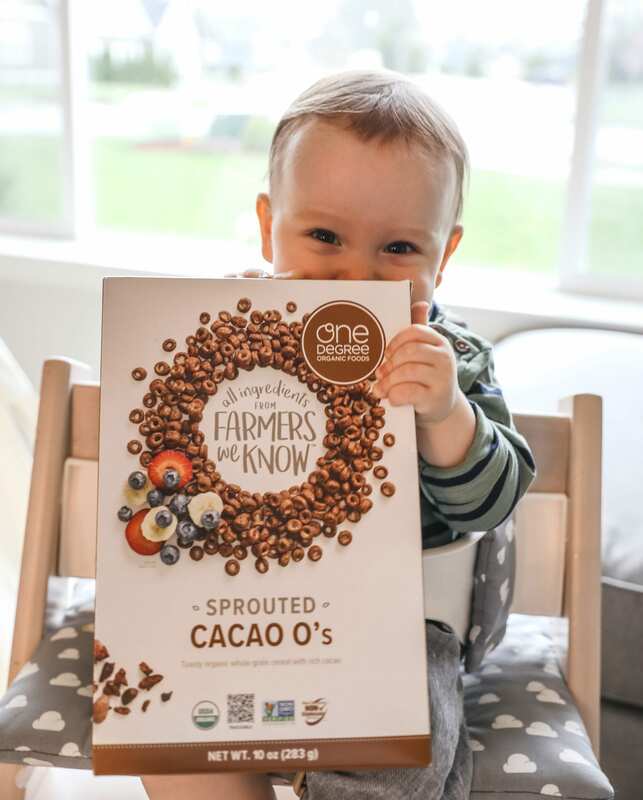 When kiddos eat healthy, Moms are happy—just check out our littlest team member loving his Sprouted Cacao O’s breakfast. It’s official: One Degree Organics Sprouted Cacao O’s are Mom-approved. Some Moms gave us notes on texture and taste, which we take into consideration as we continue to improve and develop our cereal line up. Thanks to all the Moms at Moms Meet for their feedback! What does your family think of our cereal? Let us know on Facebook or Instagram! Find our Sprouted Cacao O’s at Sprouts Farmers Market, Whole Foods Market, and local co-ops. To find a store near you, visit onedegreeorganics.com/where-to-buy. *Note: reviews from Moms Meet were edited ever-so-slightly to fix grammar and spelling for easier reading.